Shaun Foist (drummer, Breaking Benjamin) has been laying down a heavy, meticulous groove on the road and in recording studios for numerous Midwest and East Coast rock bands for over 18 years. 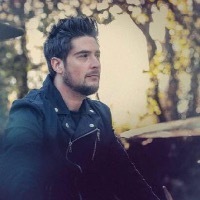 As the drummer for Hollywood Records recording artist 'Breaking Benjamin' since 2014, Shaun won rave reviews from both fans and his peers for his expertise on two albums: 'Dark Before Dawn' and the band's latest album release, 'Ember' (on which Shaun has his first songwriting credits). With the band's ongoing worldwide touring, Shaun's fan base has become legendary. In the summer of 2013, he received rave reviews as the drummer for the opening act on the Alice Cooper / Marilyn Manson ‘Masters of Madness – Shock Therapy’ nationwide tour. Championed and inspired at a young age by his father, Bill Foist (who played drums in classic rock bands from the 70’s up until his untimely passing in 2013), Shaun acquired his core drumming skills from his first and best mentor, while also sitting in on his dad’s band rehearsals in the basement of their Middletown, OH home. Shortly after turning 10 (and at his father’s prodding), Shaun entered his grade school’s talent show, playing to the Allman Brothers song, ‘In Memory of Elizabeth Reed.’ He received a standing ovation and was invited to join the Madison Junior High School band. It was at that moment Shaun knew being a drummer would become his life’s passion and profession. While still in high school, Shaun received citations from Miami University in Oxford, OH in both 2000 and 2001 for Drums and Percussion, as well as receiving the Louis Armstrong Jazz Award for the 2000/01 school year. Shaun garnered the drumming basics from his father, but also acquired practical knowledge from studying DVD’s and books… as well as embracing his natural ability and letting his instincts guide the beat. Over the years, Shaun’s drumming interests have crossed the musical spectrum… Rock, Jazz, Metal, to flavors of R&B. Though founding several bands with roots in Pop and Hard Rock (Diesel 129, Masonclover, Black Saints Cartel) and with his core skills grounded in Rock and Metal, Shaun still views himself as a multi-dimensional drummer with no creative boundaries. His eclectic skillset behind the drum kit has landed him on numerous tours (Hinder, Warped Tour, ‘Seduce and Destroy’ with OTEP and One Eyed Doll) and sharing billing on tours with Trapt, Rev Theory, Dope, Shiny Toy Guns and Soil. Shaun’s precision, versatility, high energy showmanship, skill and confidence as a drummer was further bolstered by working in the studio with producers Robert Hannon, Dave Cobb, Shawn Grove and multi-award winning music producer David Bendeth (Breaking Benjamin, Papa Roach, Paramore), forever changing the way he looked at drums and his approach to playing them. With influences including Neil Peart, Tommy Aldridge, Tico Torres, John Bonham, and Danny Carey Shaun continues to study and be inspired by the work of his contemporaries - and considers live performance and touring two essential keys in fully developing as an artist. When not recording or touring, Shaun enjoys passing his valuable insight and experiences on to his own students - and through drum clinics.